The Christmas spirit is well and truly alive at Rockwell Power Plant Mall as multiple treats and activities from Santa’s bag await shoppers starting off with spectacular Christmas décor, midnight bazaars, Christmas caroling and the much-awaited luxury car raffle promo. The rich, colorful and cheerful décor at Rockwell Power Plant Mall spells Christmas with a capital C. Giant Christmas trees and sparkly lights make everything merry. Gold and red buntings sparkle from top to bottom, making you revel in the holiday atmosphere. Santa Claus’ warm and cozy corner completes the holiday atmosphere. 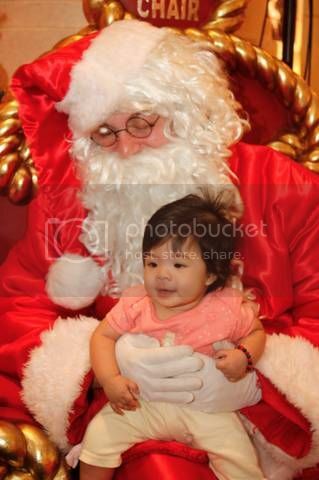 Likewise, Power Plant Mall’s Santa tradition continues this year. Kids and kids-at-heart will surely be delighted with his merry presence. 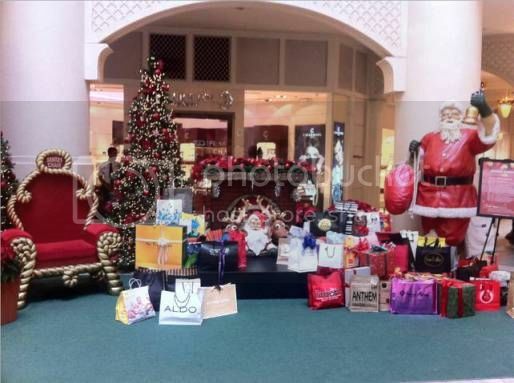 Visit the mall every Saturday and Sunday, from 4-8pm and you might just get a special treat from Santa Claus himself. The annual Moonlit Bazaar returns this season, too, for an exciting and convenient holiday shopping experience. Enjoy a wide selection of Christmas gifts and giveaways inside the Rockwell Tent, or feast on the varied food options right outside. 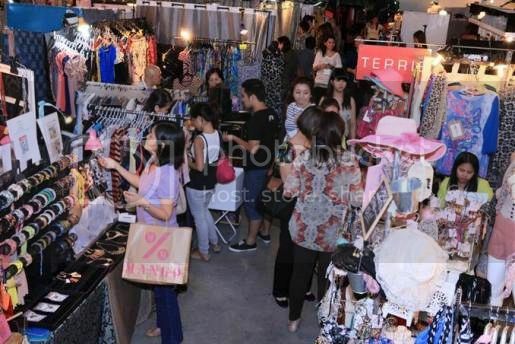 The Moonlit Bazaar is open from December 7 to 9. 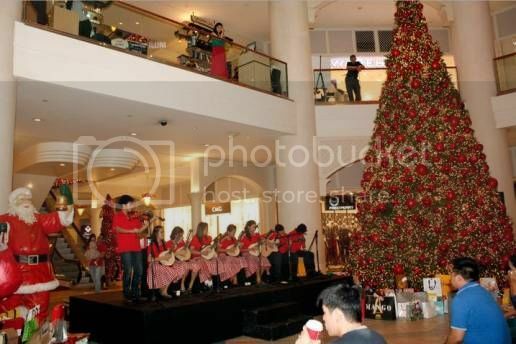 Also on weekends, mall goers can stop and catch merry tunes of talented choral groups at the North Court from 4:30-5:30p.m. Listen to the powerful voices of Angono Chamber Orchestra, The De la Salle Innersoul, The Sonshine Philippine Movement, Children’s Joy, Handog ng Pagmamahal and more choral groups that are slated to share their Christmas cheer with one and all. 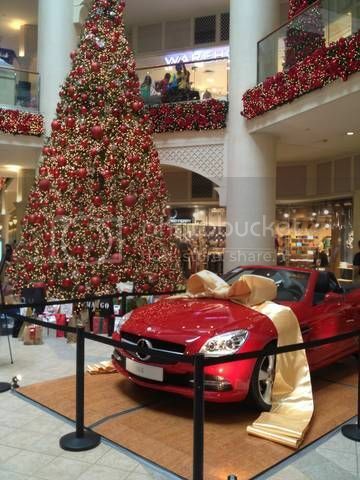 Finally, for this year’s Christmas Raffle Promo, a striking Mercedes-Benz SLK 200 is at stake. A Php2,000 minimum single receipt purchase from all retail establishments or a Php3,000 minimum single receipt purchase from Rustan’s Supermarket can be exchanged for a raffle stub. This promo started on November 16, 2012 and will end on January 20, 2013. Grand draw is on January 21, 2013. There’s no better way to get high on the Christmas spirit than to be at Rockwell’s Power Plant Mall. To find out more about the Mall’s amazing holiday season treats, visit http://www.facebook.com/PowerPlantMall or call 898-1702. This entry was posted in Christmas Traditions, Rockwell Power Plant Mall. Bookmark the permalink.